The Kilncare Profuser Glass Kiln is the next level up in fusing kilns. Complete with the flexible and easy to use KCR16 controller. 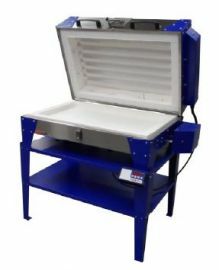 Great for glass fusing, slumping, painting, and open casting of glass. 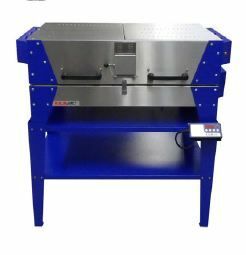 Twice the size of the Hobbyfuser and with a flat base, vent and quartz tube element similar to the FK4, this kiln is ideal for glass artists looking to take that next step in their glass studio. 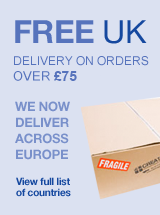 Free Delivery to UK mainland addresses. (excluding some remote and highland areas). plus £100 to spend on System 96 Fusing Glass at CGG and 20% discount off purchases for 12 months! • Flat floor without a recess. • Large vent/spy hole with spring return, anti dust flap. • Three years guarantee on ALL parts INCLUDING the elements. Over temperature alarm relay. In the event of the kiln firing to high it not only shuts the control relay inside the KCR16, but it also shuts a master relay in the KCR16. The control relay is now a solid state hybrid. A solid state relay inside the controller switches the power to the kiln for maximum reliability. Can be programmed in Centigrade or Fahrenheit This is set in the parameters of the controller and can be selected by the customer. Note, when the temperature range F or C is selected, it will default all programs back to the default for that temperature range, in that temperature range. Up to 16 segments can be adjusted to your firing requirements. If you have any questions, please give us a call on 0117 958 8820. Come and check it out at Creative Glass Guild and see it in the flesh! I spoke to the team when buying this, their help was fantastic. The kiln was delivered on time & I have found it easy to use & the controller is accurate with 10 programmes I can store all the more complicated firings I need. Highly recommend for those going from hobby glass fusing to a little more.